Rebel Legion :: View topic - Havoc Troopers at SWCelebration 8 Orlando? Havoc Troopers at SWCelebration 8 Orlando? 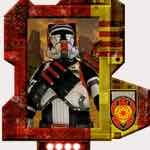 Posted: Wed Feb 08, 2017 9:07 pm Post subject: Havoc Troopers at SWCelebration 8 Orlando? Are any of my fellow Havoc troopers planning on going down to Florida this April for Celebration? If so i would love to try to organize some a havoc squad group photo which would be super sick to get a few together. If i see a few people confirm they will be there i can put together a poll for the best date and time for people. this will be my first celebration so i don't know what to expect so hopefully this wasn't a silly proposal!